Pins are rust resistant. 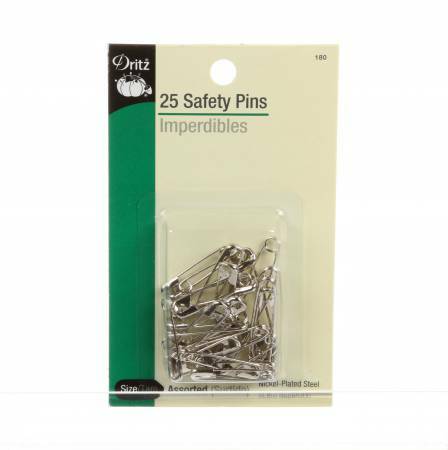 Contains an assortment of size 1and 2 safety pins. Nickel plated steel.